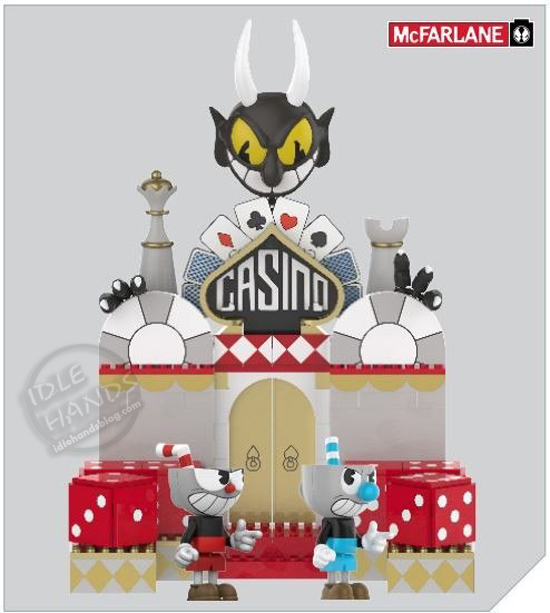 McFarlane has been doing some re-construction on their building line over the last couple of years. 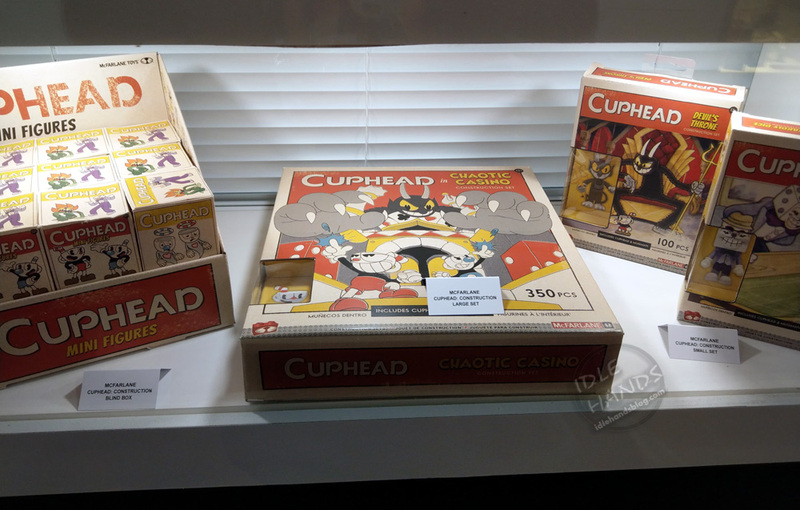 Their construction sets have gone from realistic mini model figures paired with traditional block building sets to a model more in keeping with what has made LEGO the titan of the toy shelves they are today. 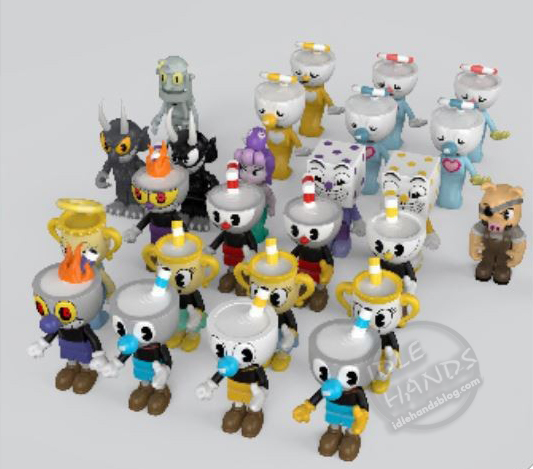 The change in style has been paying off, with their Hello Neighbor sets nowhere to be found and Five Nights at Freddy's sets highly sought after. 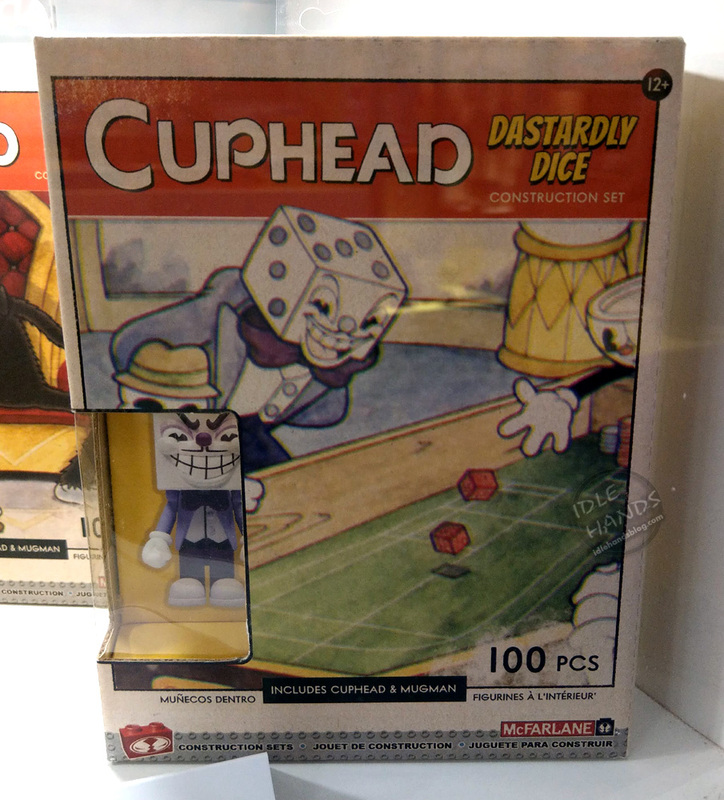 Now McFarlane lends their design know how to the video game world, which seems like a no brainer, starting with the ridiculously irresistible, highly charismatic retro cartoon stylings of CUPHEAD!! 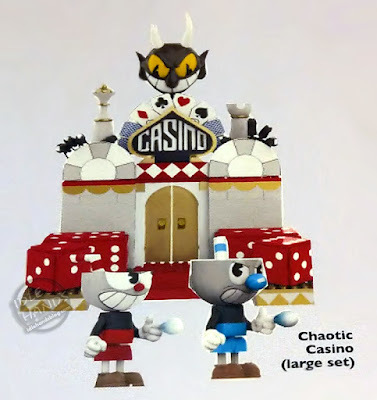 Faithfully recreated Devils Casino taken from beautiful hand drawn art by Cupheads award winning art team. 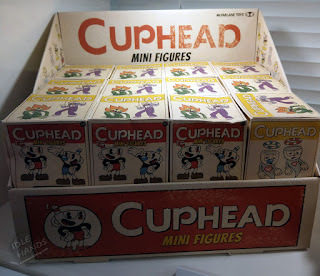 Set includes highly detailed 2 1/4 buildable figures of Cuphead and Mugman with 10 articulation points each. Set features 13 moving parts of play action. Completed build contains over 350 pieces and stands a whopping 12 inches tall! 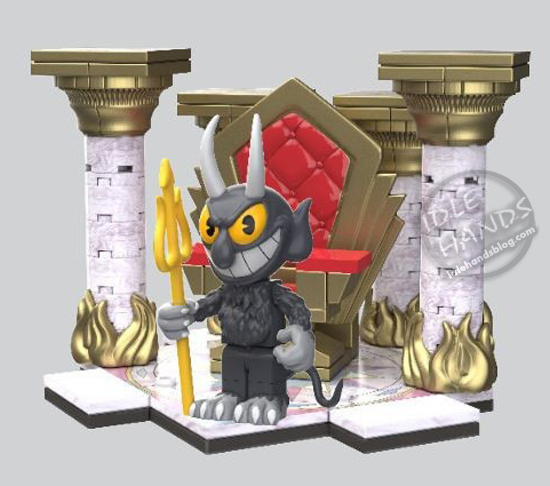 Set includes highly detailed 2 1/4 buildable figure of the Devil with 10 articulation points. 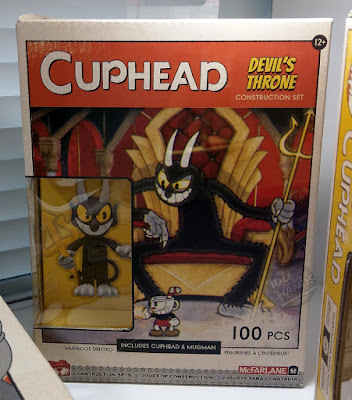 Set features Devils pitchfork and throne. 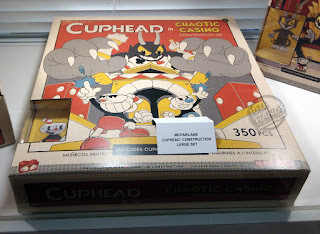 Completed build contains over 100 pieces. Set includes highly detailed 2 1/4 buildable figure of King Dice with 10 articulation points. 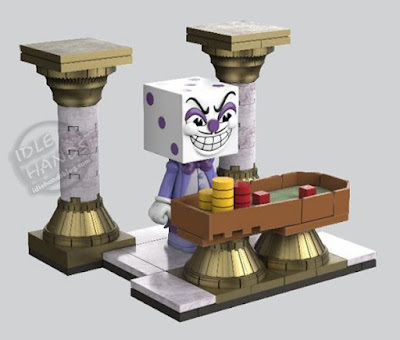 Set features craps table, chips, dice and pillars. Completed build contains over 85 peices. and a 26 Mini Figure blind box series! 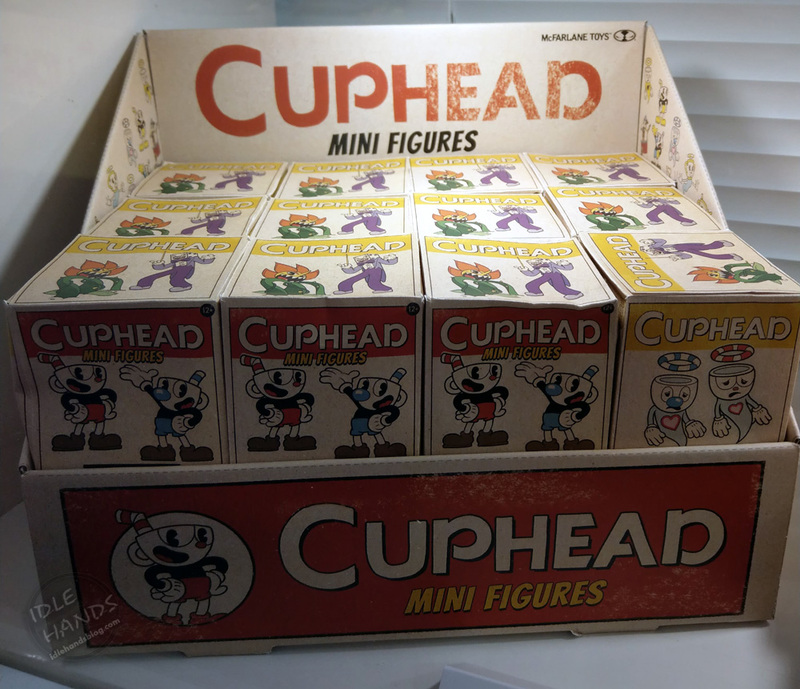 26 figure lineup gives fans lots to collect, including ultra-rare chase figures and a curated tiered rarity system designed to reduce doubles and increase fun! 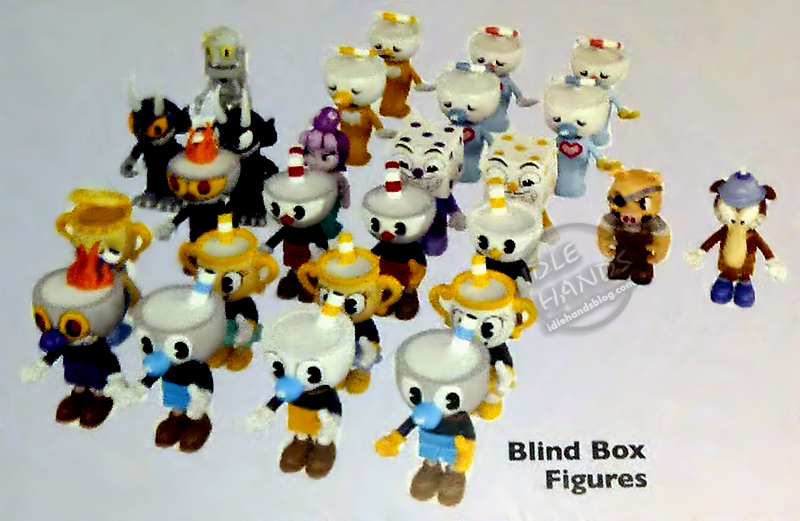 Blind box figures are highly detailed 2 1/4 buildable figures depicting Cupheads most iconic characters, each with 10 articulation points each.